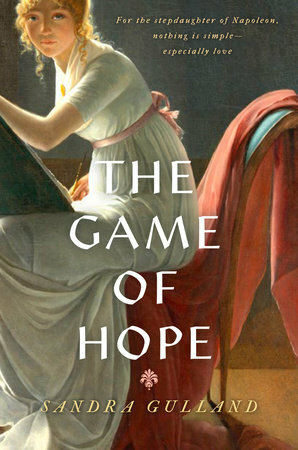 Sandra Gulland’s The Game of Hope is one of the books that I read during my mom’s hospitalization. After finishing it, it landed in a pile that got lost behind other things. Upon cleaning my office — an amazing feat in and of itself — I found the pile and realized I had a lot of reviewing to get to. The Game of Hope is inspired by the real-life autobiography of Napoleon’s stepdaughter Hortense de Beauharnais. The Game of Hope is a fascinating read. Though fictionalized, it is based on reality. We often read of those who opposed Napoleon, but here we see him from the inside. We see how those closest to him walked a fine line tinged with fear. Hortense is a likeable character and Gulland’s writing is easy and pacing spot on for a lighter read. If you enjoy historical fiction, The Game of Hope is a good choice.